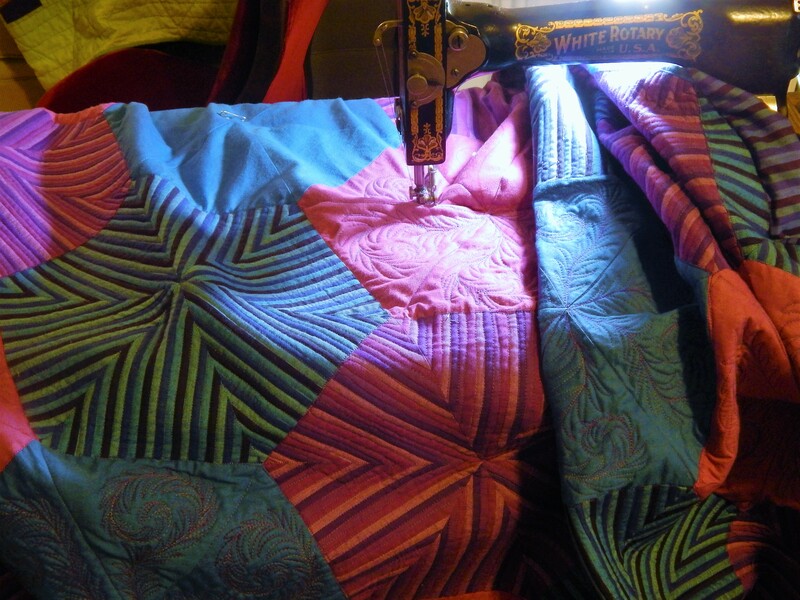 This entry was posted in Quilts and tagged hand quilting, Quilts, Trapunto. This is gorgeous. It was a lovely quilt before, and I cannot believe that the trapunto makes it look so much more so! 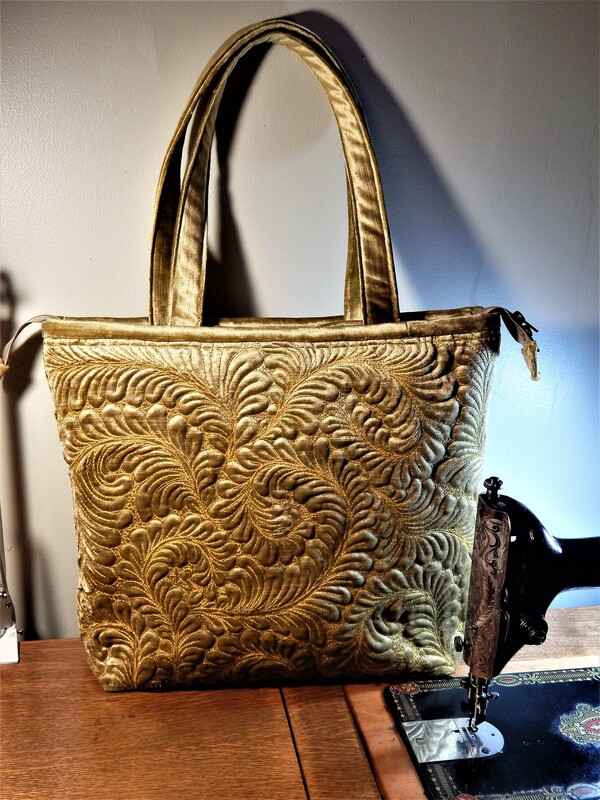 Wow – you do beautiful work!! Just beautiful! I didn’t think this project could get any better, but you’ve sent it over the top. I wish I could see it in person! I didnt think it was possible to improve this quilt in any way but you have. It is just the most beautiful quilt. So. Having done all of this additional work, if you were to re-do this project, would you still start with a wool batting and then add trapunto? Or would you do anything different? Both pieces are truly masterpieces. Congratulations! 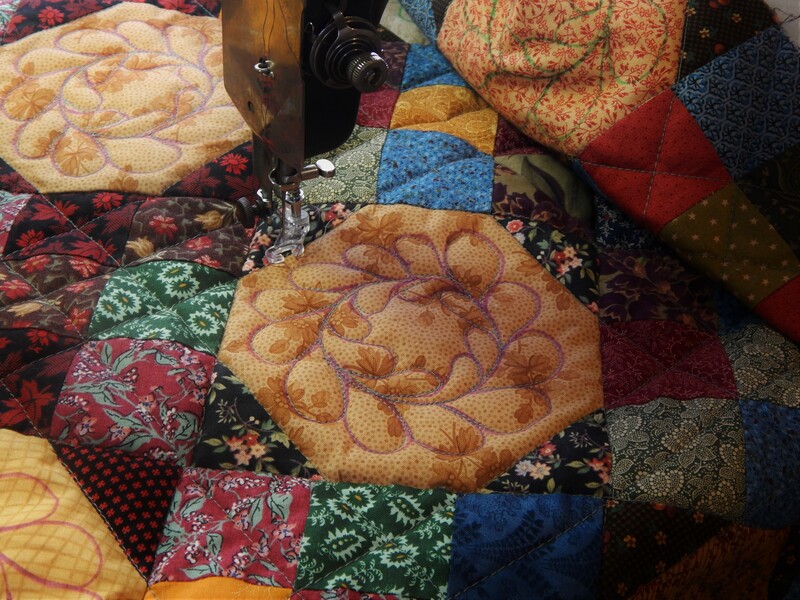 Morning Tim, there is no way I could ever see enough of your step by step photos when you are working on a project, especially seeing this exquisite quilt coming in to a deep 3D look. Those reindeers are incrediable. Cheers Glenda Australia. Stunning quilt! I have never tried trapunto myself…. love how it adds such an awesome dimension to the quilt…like several others have said, it really takes this quilt over the top!! Oh, go ahead, TIm, bore us to tears with your brilliance, just try. Hey, are your iris blooming yet? I’m really sorry to hear that Tim. You probably are taking it better than I would, you have your greens in many different baskets; I would be devastated. Do you want more or would it be better, I suspect to give you a year to take them out, clean them, see if you can get rid of the infestation by next summer? The quilt, by the way and at the risk of being repetitive, is looking stunning. Really does the trick. I have not done any trapunto work as yet, but I will be trying it in the near future I think. 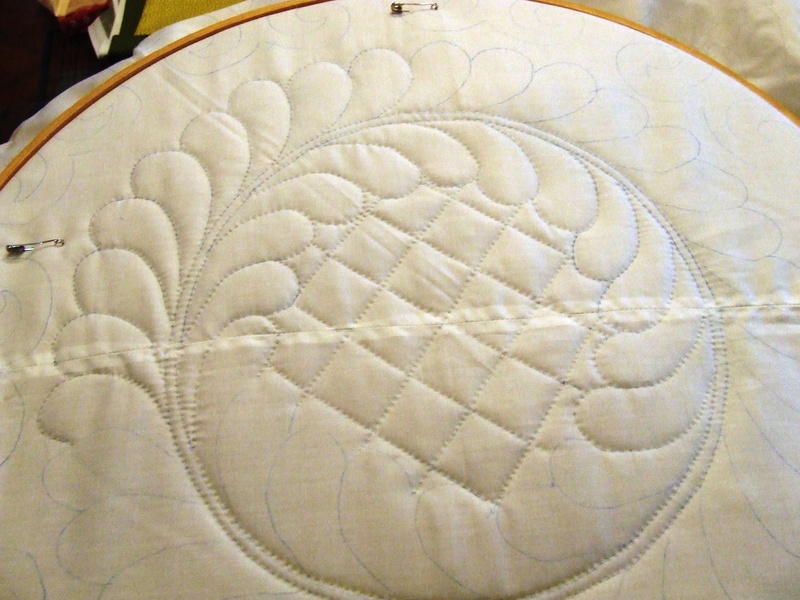 I really like the method that you use filling in after the quilting is done, to avoid any distortion. It seems so much more practical than doing the stuff work first & then dealing with distortion.